Lomography NYC celebrated Film Photography Day by joining forces with PoP to create Pursuit of Film, a film-only styled shootout and event which drew nearly 200+ photographers to create analog-based masterpieces on Saturday, April 8, 2017. The best photographs from the day were featured in an exclusive exhibition at the Lomography Gallery in Greenwich Village. The team at BBDO New York partners with PoP to produce “Spoken Word x Portraits; A series on Spoken Word Artists showcased through portraiture and storytelling.” on the theme of “Diversity” to spark new ideas, extend the conversation and create impact. PoP’s Founder, Saunak Shah was invited on this project as part of a Summer Residency Program at BBDO and worked closely with Damjan Pita, Digital Creative Director and Derek Harms. Pursuit of the Spoken Word extends the interpretation of diversity and how storytelling complimented with portraiture can add depth to the narrative. The project spotlights New York City-based spoken word artists JoeKenneth, Cyrus Aaron and Samuel Sellers who were photographed by Saunak Shah, Anisha Sisodia and Ali Reza Malik respectively. Holi NYC partners with the team at PoP to create "Portraits in Full Color" - A myriad extravaganza of diversity, love and color in celebration of Holi; the hindu spring festival of colors. A team of 4 PoP photographers (@saunakspace, @skinnywashere, @neivy & @aundre) visit the festival, hosted by Holi NYC on Saturday, 20th May 2017 in the Bronx, NY. W MIAMI partners with PoP on February, Saturday 24th, 2018 to co-host “Pursuit in Miami”; a rooftop pool party-themed portrait meet activation bringing over 150 together in a unique experience for hotel guests and the community at large. 1 YEAR. 11 COUNTRIES. 20 LOCALS. 36 DIGITAL NOMADS. 56 STORIES. Remote Year collaborates with PoP’s Founder, Saunak Shah as he travels in November 2017 with 36 companions for over a year and decides to capture their portrait in a city of their choice. The project covers 11 of the 21+ countries visited on The Global Pursuit. Fueled by the passion of storytelling and portraiture this project (PoP xRY Edition) aims to highlight facets of personal and professional growth that come with travel. The Global Pursuit (PoP x RY Edition) debuted at LAB1 in Bogota, Colombia on Saturday, October 27th in partnership with Remote Year. 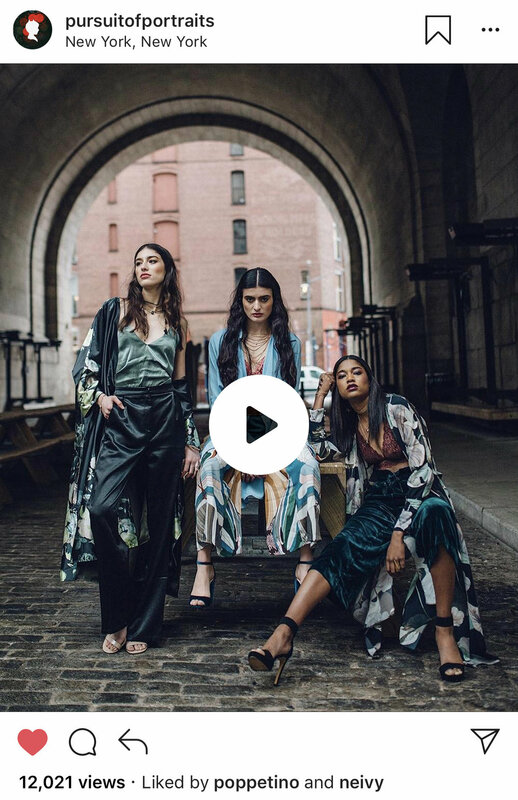 Tumblr (@nyfwofficial) sends a handful creators to New York Fashion Week to cover everything and anything they have access to. Shows, presentations, backstage events—14th season in a row. PoP’s Photographer, Saunak Shah (@saunakspace) along with Jane Kim (@jane–kim), Andris Dzeguze (@andrisdze), Matthias Brown (@traceloops), Jean Taeza (@jntza), Rose Wong (@rosewong), Alyssa Greenberg (@smallgirlbiglens), Ramon Owen (@thisreo) were there creators who covered the 14th season. PoP plans two portrait photography meets in Colombia in partnership with Selina; a hostel and co-working space for travelers, nomads and explorers. 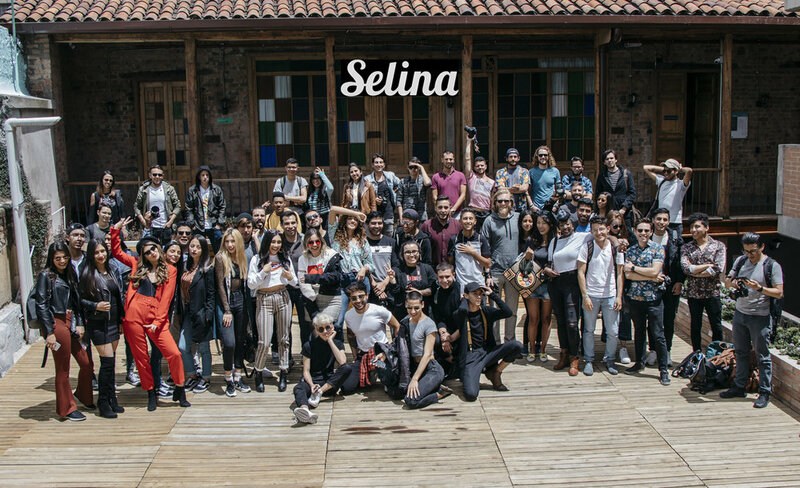 The first meet that was held at Selina, Medellin on Saturday, September 16th, 2018 was facilitated by local creatives. It was significant to PoP because it featured some guest creatives from the local LGBTQ community. The second meet took place at Selina, Bogota on October 27th, 2018. Apart from a welcoming venue for both the events, Selina provided prizes for the winners of the best photos from the meets. PoP was invited by Ogilvy New York to host their first Agency SHOW & TELL on February 1st, 2019 to share insights, tips on social media community building and host their first internal agency portrait meet to foster a culture around community. The talk and workshop was led by Karston Tannis and Saunak Shah. The interactive portrait meet was followed by a critique and the best photos were awarded prizes! Today when online influence and engagement is king, how does one maintain social authenticity to build narratives and positively impact and connect with an audience that’s so easily distracted and disengaged.